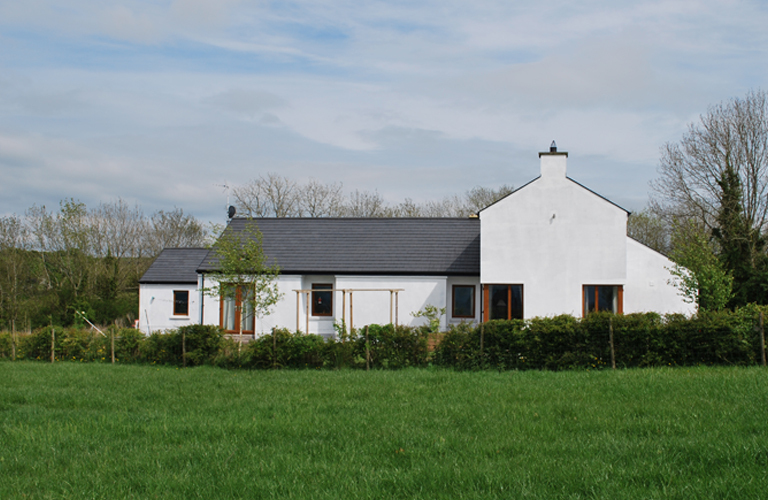 Every architect wants to design their own home- to get the opportunity to design the crosskeys dwelling in rolling hills in County Antrim was an opportunity not to be missed for Joe and his family. 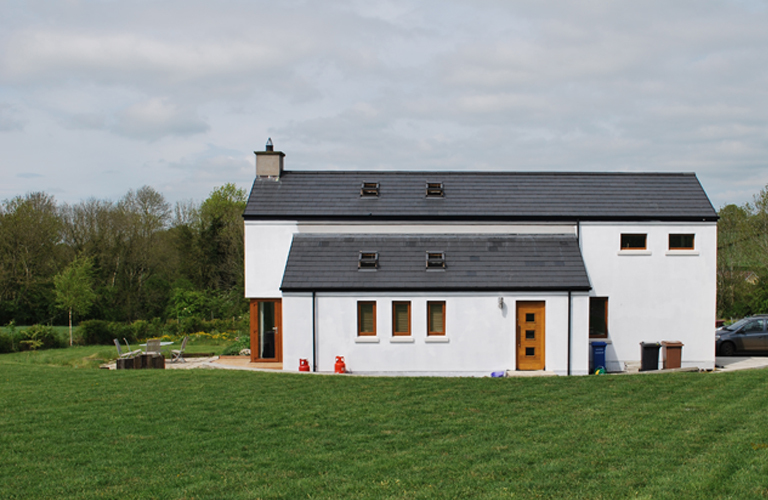 Near the shores of Lough Beg, this Crosskeys home brings together the traditional Irish rural architecture and a modern nod to its layout and materials. A modest 4 bedroom dwelling, the outside betrays the space indoors. 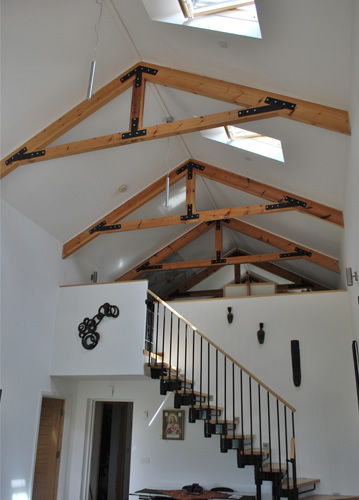 A fan of open plan living, the heart of the house centres on a double height living space with a mezzanine level overlooking the space and views out to the Sperrin Mountains. The kitchen completes the picture, opening into the living space and interacting with the rest of the house. The bedrooms lie perpendicular to this space off a central corridor lit with roof lights. The house is designed in a cruciform pattern along the lines of a compass, to maximise views, light, thermal gain and protection. The house nestles into the existing landscape sitting down some 6m from the road and using the protection of the existing trees to subtly soften the building. The garage is positioned to the north of the house to further add protection from the elements. Very often a forgotten element, one of the first jobs completed on the project was the native landscaping. All new post and wire fencing was dressed with mainly Hawthorne hedging picked out with beech and holly, silver birch and rowan. A new home in Crosskeys which simply realises the principles of the studio.